Okinawa Main Island is the largest and the most populated island of Okinawa Prefecture. As the resort island of Japan, there are many shopping districts for the travelers. Most of the costal lines has beautiful blue sea and coral sea. Therefore, there are many scuba and snorkel spots in this island. It was used to be the land of Ryukyu Kingdom. 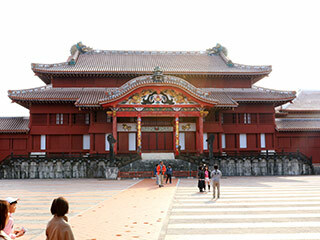 Therefore, there are many great ruins of castles that are registered as UNESCO World Heritage Site. Since, there are US Military Bases, there are many shops that takes English.